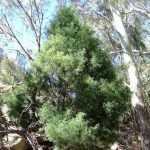 Wild olives cause serious environmental damage in native vegetation where they quickly dominate and smother out most low and medium storey species. 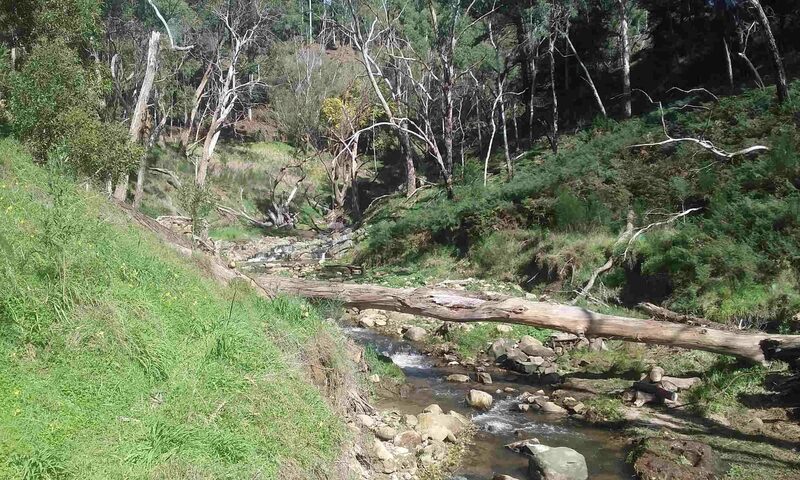 This is of particular concern in the 6th Creek catchment due to the large areas of existing native vegetation. Due to their high levels of oil, olives are also highly flammable and can create a serious fire risk. olives from olive plantations to be controlled. Effective control requires a long-term plan as trees are hardy, with a vigorous and persistent root systems and a substantial long-lived seed bank. Regrowth and ongoing germination require continued control effort. For advice on chemical control techniques contact your nearest Natural Resources Centre. Refer to the ‘Weed control handbook for declared plants in South Australia’ for detailed advice on chemical control. You can find it on the Biosecurity SA website. Cylindrical-shaped tree to 5m. Green foliage, dark brown cone fruit. Responds to pruning. Uses: screening, hedging, and to line driveways and paths. Well-drained sandy and limestone soils. Can be used instead of non-native conifers. Feature tree 3 to 5m. Leaves green on top, silver below. Yellow flowers on cylindrical cone, spring to autumn. Responds to pruning; can prune to single trunk. Interesting foliage and seed pods. Uses: feature plant, streetscaping. Slow growing. If foliage yellows apply chelated iron.